The hills and valleys of Kodai were quite like our own mental state, as we swung from sheer disappointment to speechless awe in Kodai. And whether it was the cycle ride, the trek or the jog, whether it was the hills, the lakes, the pine forests or the gardens – we scaled newer heights of our relationship. We took the overnight train, Tuticorn Express from Bangalore to Kodai Road and then found ourselves in a taxi (very outside of our frugal budget limits) to Kodai. The contrast of the beauty of the hills and the insides of our hotel was evident even without having to enter the ‘Guru Priya’ hotel where Artha Options had booked us. The hotel was pathetic, but we decided to stay on, in one of their better (less stained) rooms. The idea was to spend as little time indoors as possible. 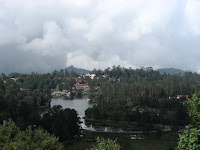 By lunch time, we took a bus to the city center – the Kodai lake. I had a single minded focus to look for a place where we could rent decent cycles or motorbikes. Renting motorbikes in Kodai is out of question, we were told, by an old man renting BSA cycles, who seemed to have all day to dispense such information! We finally found a bike rental, near the TTDC Boat house who had Hercules Act 110 bikes and was renting them for Rs.30 per hour. (Highly recommended if you are looking to ride around Kodai). We had a quick lunch at Woodlands and hurried to get ourselves on the bikes. 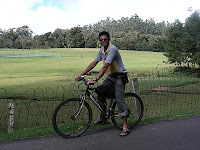 The standard biking route in Kodai is to ride the 5k around the Kodai lake. But, that is not what we had in mind. We started from Kodai Lake at 3pm, the idea was to take the ‘Valley tour’ (as the tour operators call it) and see how far we could go. The Valley Tour: This loop covers many sightseeing points – the Coaker’s Walk, Upper Lake view, Pambar falls, Pillar rocks, Guna caves, Moier Point amongst others. This is one big loops in the hills bringing you back to the Lake. 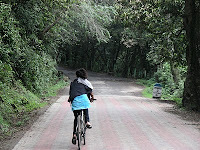 Shreya and I had no idea how far we would be able to cycle. We were welcomed by killer uphills that tested the granny gears of the Act110 right away. We huffed and puffed our way to the first sightseeing point – Upper Lake View. (if you have started to notice how these places are named, wait till you get to Cap’s Fly Point!!). 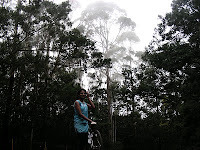 The ride was out of the world; the dense forests, the misty roads flooded me with memories of my ride to Ooty in 2008. We continued up and down the rolling hills, following the signage from one view point to the other, making our way through villages, Fairy falls without water, roads filled with ankle deep water at places, slush, curious locals & noisy tourists. The valley tour took us right through the Golf course and up to Pillar rocks. We were soon blessed with a slight drizzle and more importantly, the milestone that said “6k to Kodaikanal”. It was all downhill from there, right down to the Kodai Lake, offering some more views of the star-shaped lake. When we were back, we had covered 23k in 3hours, starting at 6900ft to 7550ft, climbing 550m or so! It was yet another celebration of my marriage to Shreya. The details of the ride are here. Part II & III coming up shortly. "Well, it is easy to endure those, when you have a husband who pushes the bike up for you ;)" Good one!! Happy to see you guys celebrate the fact of 'being wedded' at every step.. Go ahead! All the best! Happy married life! 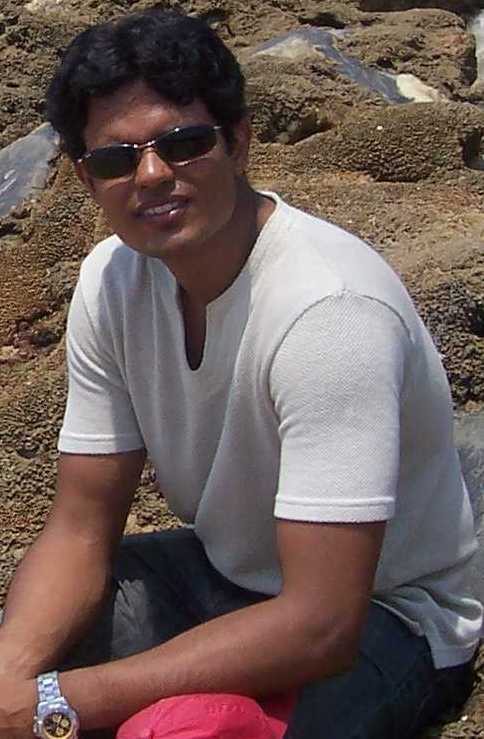 Was dat a bike or cycle.we r planning to visit there. I , with wife, wana get bikes to ride.could you make it clear plz.